Between January and March 2012 HM Revenue and Customs are sending out revised tax codes for the tax year which begins on 6th April 2012. 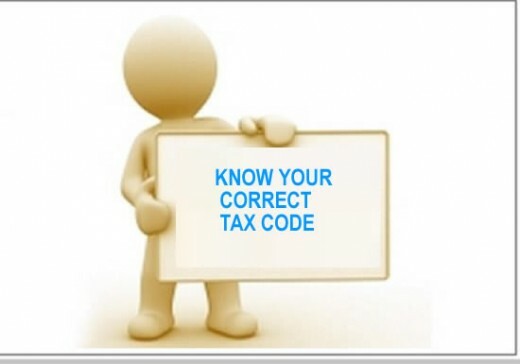 Not everyone will receive a notice of coding but, where a tax code is sent out, it is advisable to check it in advance and to raise any problems with HMRC in a timely manner so that a correct tax code can be issued before the start of the new tax year 2012-2013. The Pay As You Earn (PAYE) system aims to collect the correct amount of tax during the year. The tax code is the mechanism for ensuring that the available allowances are taken into account when working out taxable pay. If you have only one employment and not other sources of income then it is a straightforward matter of setting your personal allowances against your pay and taxing the rest. However, if you have multiple employments (or pensions) and perhaps other sources of income like rental or untaxed interest, then the situation becomes rather more complicated. HMRC may try to collect tax due on those other sources via a restriction in your tax code. They must also collect underpayments that have arisen in previous years by this method. HMRC do not always get it right. Furthermore, their coding calculation is necessarily based on information from the previous tax year and so may be incorrect for that reason. The wrong tax code can lead to too much tax being deducted over the year or, on the other hand, to too little, giving rise to a large tax bill the following January. In the past, HMRC used to routinely send copies of coding notices to tax agents but, unfortunately, this is no longer the case. If you would like us to check your notice of coding for 2012-2013 please send it to us or if you would like any further information please call us on 028 4461 6321 or send us an e-mail.